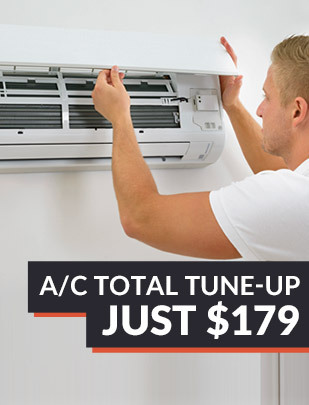 Get your air conditioning system fixed today! For The Very Best Experience! Send Us a Question or Schedule a Free Service Call! What Happens on a Service Call? You call and schedule an appointment. Our technician calls you 30 minutes prior to arriving. The technician arrives, tests the system and fully diagnoses the problem. We review all repair options and answer any questions you may have. You get a flat-rate quote. No overtime or surprise charges! Once you give your approval, we move forward with the repair. When the system is repaired, we test it thoroughly and collect payment. You enjoy the comfort of your home! 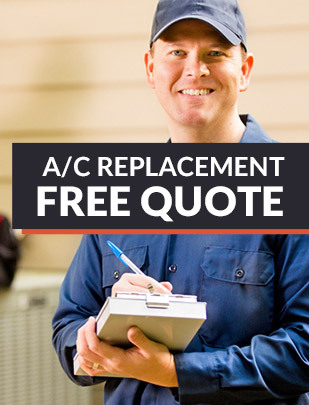 We offer repair, maintenance and installation of the all major brands of HVAC equipment, including; Trane, Carrier, Goodman, Amana, Rheem, Rudd, Maytag, GE, Comfortmaker, Heil and more. Today's energy efficient A/C and heating equipment can drastically cut your monthly electric bill and help offset the cost of the new system. We are large enough to service you with prompt service and best prices, but small enough to provide you with that personalized service you deserve. Our offices serve Florida from the panhandle to the Bay area.